According to Reuters and her official twitter account, Former Disney Child Star and arguably Disney’s most famous Mouseketeer, Annette Funicello,age 70, died today at Mercy Southwest Hospital in Bakersfield, California, from complication of multiple sclerosis. Her family told celebrity news television program “Extra” that Funicello had been in a coma. 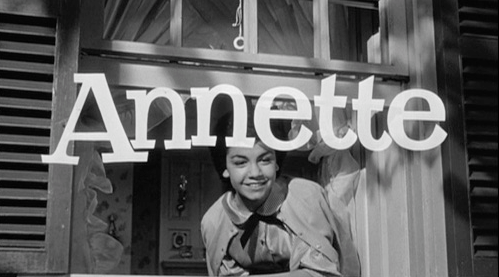 “Annette was and always will be a cherished member of the Disney family, synonymous with the word Mousketeer, and a true Disney legend,” Bob Iger, chairman and CEO of Walt Disney Co., said in a statement. “She will forever hold a place in our hearts as one of Walt Disney’s brightest stars, delighting an entire generation of baby boomers with her jubilant personality and endless talent,” he said. Funicello rose to fame as a teen in the 1950s when she was one of the original members of “The Mickey Mouse Club.” She went on to star in 1960s teen films like “Beach Party,” “Bikini Beach” and “Beach Blanket Bingo.” My generation grew up knowing her as the nice lady who served as Skippy Peanut Butter’s spokesperson. In later life, Funicello battled multiple sclerosis, a crippling disease of the nervous system which developed in the late 1980s. It led the once-vivacious singer and actress to depend first on a cane, then a walker and finally a wheelchair. Reuters reports that Funicello was born in Utica, New York, but moved to California while she was still a child. Her father was a mechanic and her mother, Virginia, one of the original Hollywood Moms, devoted herself to her daughter’s Hollywood pursuits. According to Reuters, Funicello married Hollywood agent Jack Gilardi in 1965 and the couple had three children, Jack, Jason and Gina. The couple divorced in 1981, and she married racehorse breeder Glen Holt in 1986.